Sometimes the old taste buds become a bit jaded and need something to perk them up a bit. For Dos Hermanos that’s where having a few Vietnamese restaurants in the nabe comes in handy. Our original plan had been to visit one on Mare Street but the torrential rain weakened our resolve and found us traipsing up and down Kingsland Road waiting for somewhere (anywhere) to open. The people inside Pho Sweet Basil saw us looking at the menu and, contrary to our usual experiences, smiled and immediately flipped the sign on the door from Closed to Open, so it would have been rude of us not to have entered. 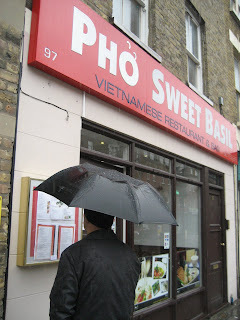 Like many of the Vietnamese joints on this strip Pho Sweet Basil is more cafe style than restaurant and if you've visited any of its neighbours the menu will be pretty familiar as well: a mixture of Vietnamese dishes with a fair smattering of Chinese thrown into the mix. We stuck to the Vietnamese starters with a couple of more substantial dishes. We had fancied the Green Papaya salad a regular in many places but they were out of Green Papaya, a bit odd given that the number of ethnic greengrocers dotted around. Our second choice, Mango Salad, drew a blank as well. What was available wasn't bad though. Summer Rolls had a slightly thick covering but were fresh tasting. 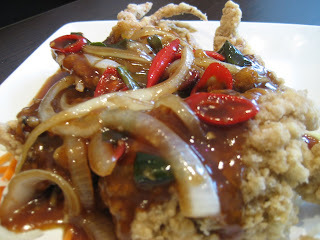 Soft Shell Crab had a rather thick batter and came in a gloopy tamarind sauce but tasted good. 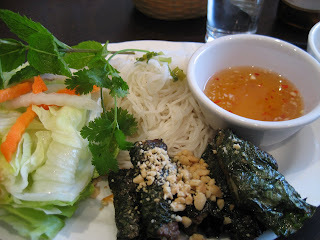 Marinated beef came wrapped in Betel leaves for further wrapping in Lettuce with Rice Vermicelli, Mint and a nice dipping sauce and was rather nice. 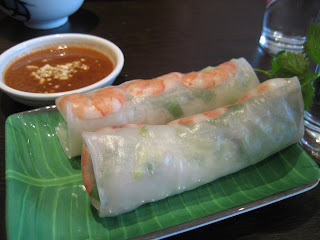 Another DIY roll was some decent prawns with more of that vermicelli and some basil leaves. 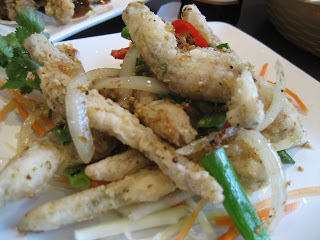 Best of all though, were the frog's legs which came in a light crunchy batter that was well seasoned with a good chilli kick. Better, I think, than those we had at Le Bouchon Breton the other night. Pho had a rather lightweight stock – although HS tells me this is echt - but the promised rare beef wasn't and there were only a few pieces scattered around. Disappointing. 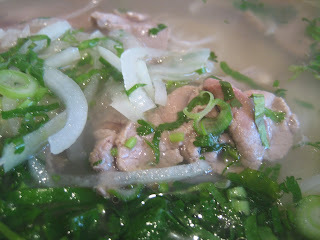 Another dish of Lamb came with even more of the Rice Vermicelli (can you see a pattern here). Like the beef in our soup the lamb wasn't very impressive and only a few overcooked slivers nestled amongst the noodles. 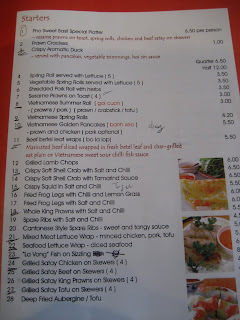 We'd also ordered a dish of Catfish Hotpot which was the staff had forgotten about. Luckily for us as we were stuffed. With only a couple of soft drinks and a couple of beers we somehow spent almost £50 including service which seemed a bit expensive but then we'd ordered like greedy guts (yes, really),so maybe normal people would find it more reasonable. 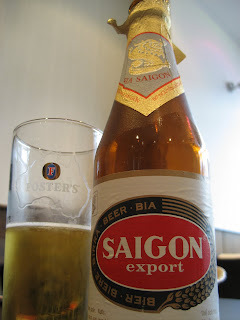 If you’re after the less run-of-the-mill main course specialities then one of the other nearby restaurants may be more suitable but if you’re happy to stick with the starters and a few beers then Pho Sweet Basil should do the trick. It did for us, anyway. Long time reader, first time poster. It's a shame the weather prevented a visit to Mare Street: Tre Viet (particularly the smaller of their two establishments) is a cut above most Kingsland Road gaffs. The stir fried eel starter and caramel fish cooked in a clay pot are particular highlights - perhaps even worthy of a mini cab fare. Was the soft-shelled crab as good as the one from Cay Tre? Theirs had disappeared off the menu last time I went. Great stuff, chaps. Just read the Berlin entries from last year - if you're ever back there go to Markt Halle in Kreuzberg for the best schnitzel in town. By a mile. We were on our way to Tre Viet - oh well, maybe next time. I believe Cay Tre are under new ownership. Re the Crab I found the batter a bit thick and the sauce a bit gloopy. Tasted ok though. Hello Paulie, thank you for your kind words. We enjoyed Berlin even though it was cold enough to freeze the balls off a brass monkey (the locals thought -10C quite mild) and plan to go back to sample more wurst of the curry kind and of course schnitzel. carmens restaurant in suburban eichwalde, bahnhofsstr. 9 does for german food what fergus henderson did for british nosh, she doesn't know and neither does anyone beyond the local media and thats why a 5 course meal is 50 euros a head and a splendid deal at that. butcher markus benser (www.blutwurstritter.de) is to be visited on your last day to stock up on cured meats and fabolous award winning boudin noir (sold in jars) and for a hearty lunchtime snack.